There’s nothing quite like the disappointment that comes when a landmark you’ve been excited to see fails to live up to expectations. Happily though, Europe has more than its fair share of sights and landmarks that are definitely worth waxing lyrical about. And although the downside to visiting some of the most popular Europe attractions is often queues and crowds; sometimes you just have to. So, check out the list below of places in Europe that are worth the hype. 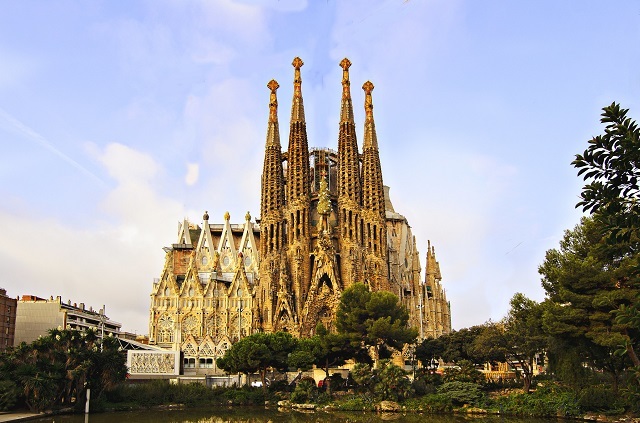 An icon of Barcelona, La Sagrada Familia is a landmark consistently rated one of the best places to visit in Europe – and it’s not even finished! That’s right, construction of revered Catalan architect Antoni Gaudi’s epic cathedral began in 1882, and thanks to an ever-changing and intricate design, the Spanish Civil War and a reliance on donations to fund the build, it’s been a slow-going process. But even in its early stages, there’s been no denying its immense grandeur. From the outside, four soaring bell towers are surrounded by three incredibly complex facades, each representing a different stage in the life of Jesus, while inside is a vast, sunlit chapel boasting gorgeous stained glass windows, enormous stone columns and arch detailing. Due for completion in 2026 (the 100-year anniversary of Gaudi’s death), there’s just no limit on how much more impressive La Sagrada Familia can get. Of all the famous European landmarks, none evoke such wonderment and instant recognition as the Eiffel Tower. The jewel in Paris’s sparkling, attraction-heavy crown, the Eiffel Tower isn’t just one of the top-ranked things to see in Europe, it’s one of the top-ranked things to see in the entire world. In fact, it holds the title of the world’s most visited paid monument. 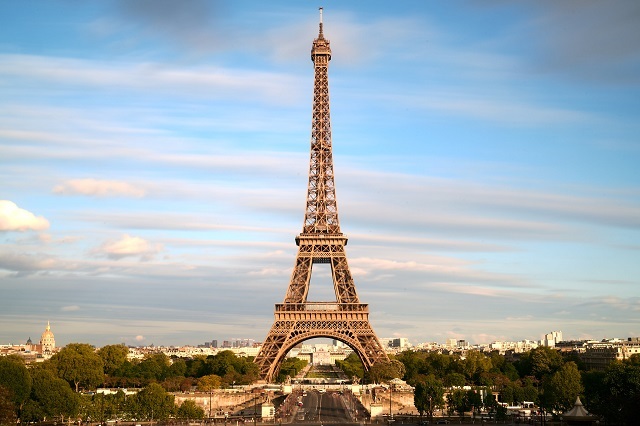 Built in 1889 by Gustav Eiffel, it remains the tallest structure in Paris, and whether it’s an elevator ride to the highest point, a meal in one of the two high-end restaurants, or a picnic on the grassy Champ de Mars, the Eiffel Tower is a must-visit when in the City of Lights. Just promise you’ll stick around until nightfall to watch the dazzling hourly light show, because it doesn’t whether it’s your first or fiftieth visit, there’s something undeniably magical about this beloved French attraction when it’s illuminated in a shimmering glow. While the crumbling sandstone exterior may be a far cry from the glory days of gladiator battles and 80,000-strong crowds, it’s impossible not to be wowed by Rome’s legendary Colosseum. 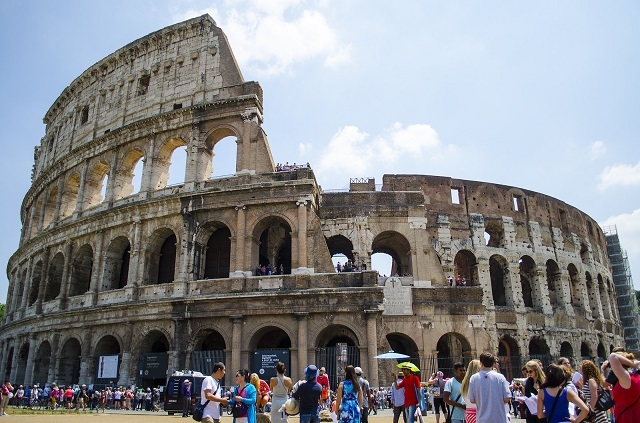 Also known as the Flavian Amphitheatre, it was the Emperor Vespasian who commissioned the Colosseum in 72 AD, before it was opened as a gift to the Roman people in 80 AD. As a public forum for executions, animal hunts and those now infamous fight-to-the-death contests, it was at the very epicentre of Roman culture for hundreds of years before falling into disrepair. Today it is once again an integral part of Rome’s identity, and one of the most famous landmarks in Europe. Much like they did during the Roman empire, hordes of people spill into the arena – only this time it’s to uncover the Colosseum’s rich past, admire the ruins and learn about the tales of bravery and tragedy. Long considered one of the most important locations in Western culture, the Acropolis in Athens is one Europe tourist attraction not to be missed. With origins that can be traced back to the fourth millennium BC, it’s a miracle there’s even ruins of the Acropolis left to visit, and it’s hard to imagine its UNESCO World Heritage Site status ever being up for debate. 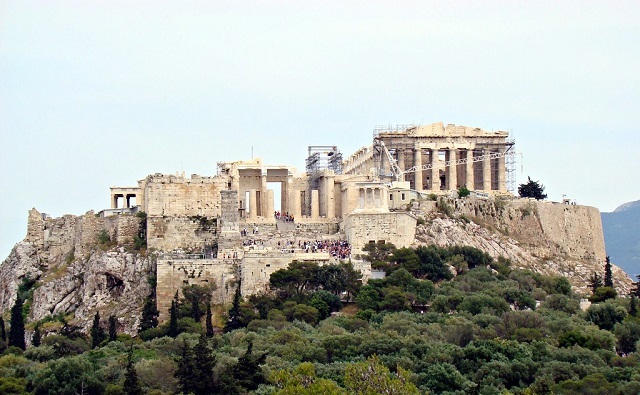 Located high on a rocky outcrop overlooking Athens (a vantage point that still offers unbeatable views of the ancient Greek capital), the most significant Acropolis structure is the Parthenon, which was erected in honour of the Goddess Athena. Steeped in remarkable history, to wander through the Acropolis is an almost overwhelming experience, but one every traveller should undertake. Italy could form its own list of hype-worthy places to go in Europe, but if there’s one other Italian highlight worth mentioning alongside the Colosseum, it’s Florence’s magnificent Cathedral of Santa Maria del Fiore, fondly known as il Duomo. 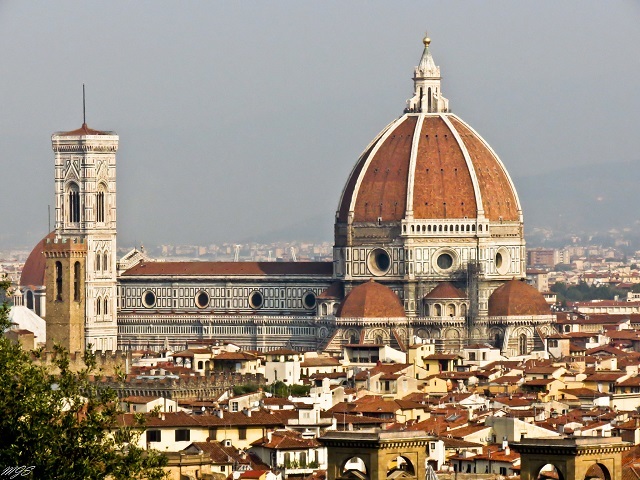 This stunning Catholic church, second only to the Vatican City’s St Peter’s Basilica in terms of size, is the centrepiece of Florence’s iconic skyline. Clad in vibrant red, green and white marble panels, it’s an astonishing example of Renaissance ingenuity, and took 170 years to complete. All roads surrounding il Duomo are strictly limited to pedestrians, and a walk around the perimeter offers the perfect opportunity to admire its grand scale and meticulous design. Inside though, it’s a surprisingly sedate affair, simple in decoration and furnishings. That doesn’t lessen its impact in any way though, and it remains an extraordinary sight to behold.